Traditions is a collection offering endless options. It holds on to traditional values and pure design. 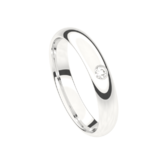 Choose from 6 classical forms (4T, 5T, 6T, 7T, 8T, 9T) from flat to round, and find the ring that suits you best. Next choose the material and colour your ring will be made of. Gold (18ct, 14ct) in yellow, white, champagne (natural white), or red gold. Platinum in silver white and palladium (Pd500) in light grey. 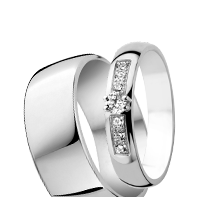 Do you like a narrow ring or a broad, rugged ring? 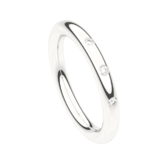 The widths of TRADITIONS rings vary from 2 mm to 8 mm. High gloss or matt? Select from 4 different finishes. With or without brilliants? 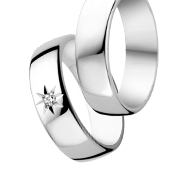 Depending on the model and selected thickness, you can choose 12 different stone settings. Configure your ring here and see at once what your dream ring looks like. Take your unique reference to your jeweller.